Lush Haul / Random Information. Another Lush post! ;) I planned on posting this earlier today but I couldn't find the photos I took last week anywhere on my laptop so I had to retake them all. This was my first time buying Lush online, I much prefer going into a shop and buying things. I knew I wouldn't get near a store before Valentines was over and I wanted to get a few things they'd released for it so I thought I'd better place an order. 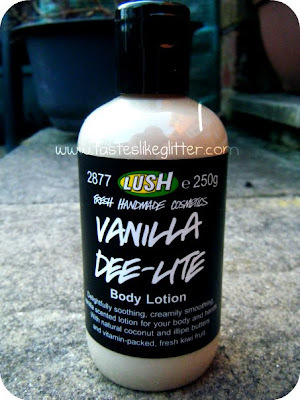 1 - Vanilla Dee-Lite Body Lotion. 2 - Mint Julips Lip Scrub. 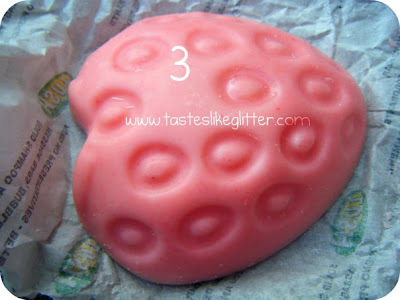 3 - Strawberry Feels Forever Massage Bar. 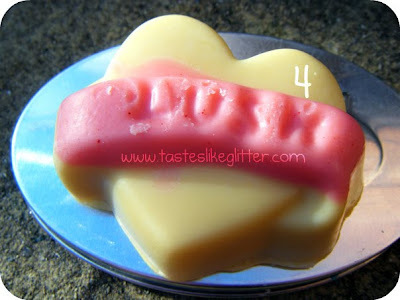 4 - Heavanilli Massage Bar and free tin. 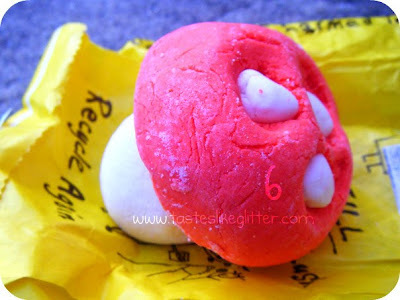 6 - Magic Mushroom Bubble Bar. Anyone else tried any of these? What did you think? I know there's been quite a lot of talk about the Lip Scrubs. Some good some bad. Will you be getting any? It has also came to my attention early this afternoon that the amazing Alexander McQueen unfortunately took his own life. :( That man was a British legend in my opinion. His creations were completely out of the ordinary and one of a kind. So RIP to him. And the stupid girls that are talking crap on the internet about him and his fans at present (luckily I have not seen it but I saw a post about it) deserve a great big slap. Also my giveaway ended on Monday. I should have put the names into a document as they were entered but no, I of course didn't think of that. So now I have to trawl through nearly 200 comments. Oh the joys! 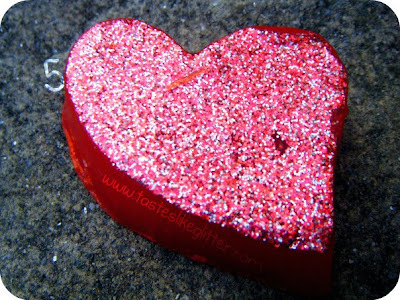 I promise to get the winners up as soon as I can, so don't fret. M.A.C 187 Duo Fibre Brush. Lush Mint Julips Lip Scrub.